Which move are you on? Are you going from your parents place to your first apartment? Are you leaving an apartment behind for your first home? Are you moving into a bigger home because the family is grown? Or are you downsizing to enjoy your retirement? We are very mobile society. In fact, surveys find that people will move on the average of 11 times over the course of their life. Anytime you move you have it great opportunity to start over especially when it comes to organizing your house. The only way to accomplish that is to make sure you don’t move into a new home with old junk. One call to Junk King Atlanta can prevent that from happening. The vast majority people removing do their own packing. It makes a lot more sense and saves money. It’s important that every box you pack gets properly labeled and has an inventory. This should make you think twice about what you put into those boxes. In other words if you start pulling things out of cabinets, dresser drawers, closet shelves and other storage areas that you know you’re not going to use, then why pack it? You might think that it’s easy to sort through after the move but you just creating a storage problem at the new place. A better alternative would be to set aside all those things you want to get rid of it turning over to Junk King Atlanta. 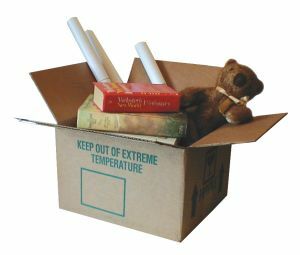 You certainly might find several boxes that you can get rid of but why stop there? If you are going to replace a sofa or futon, then turn that over the Junk King as well. Everything that Junk King collects goes onto the back of the truck and has the potential to be repurposed once again. The crews of all been trained to spot those things that could be donated to a charity. Condition is not an issue. Many of these organizations hire locals to reupholster or fix appliances. It’s a great way to keep stuff out of landfills and that should be the ultimate goal of anyone who tosses out garbage. You’ll enjoy your new home a lot more without the old junk. Give all that to Junk King Atlanta today. This entry was posted in Atlanta Junk Removal and tagged junk, Junk King, junk removal, new home on October 31, 2017 by Junk King. Last updated October 31, 2017 .